ReStore ReStart is an art show that uses ReStore recycled products to make works of art. Selected art pieces will be shown at Cultivate 712. There will be a silent auction for art and proceeds will benefit the Waco Habitat for Humanity. This show is open to the public and all Waco artists are encouraged to participate! 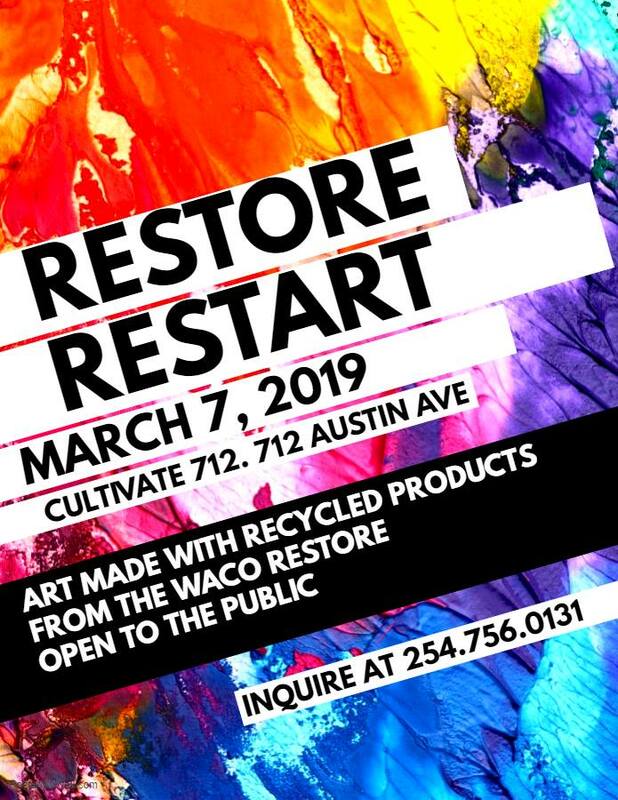 Contact the Waco ReStore at (254) 756-0131 or visit the Waco ReStore page: Waco ReStore for more information about the event. There will be free food and live music through out the event!